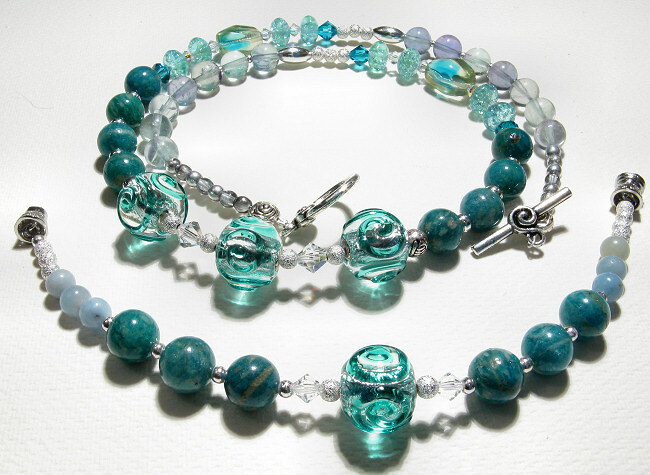 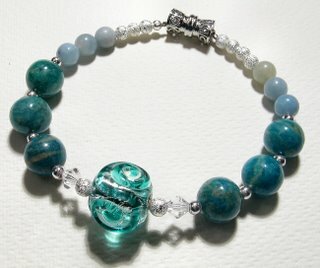 It basically follows the same design, except that the fluorites have been replaced here by six lighter small Amazonite beads in shades of blue-green. This is because due to their fragility, and the fact that we tend to bang our hands every now and then, they would most probably break in no time. 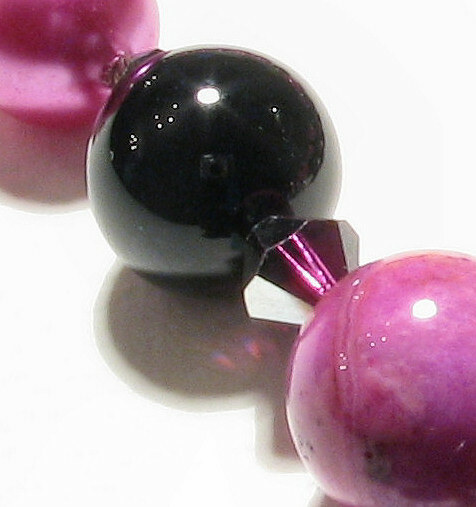 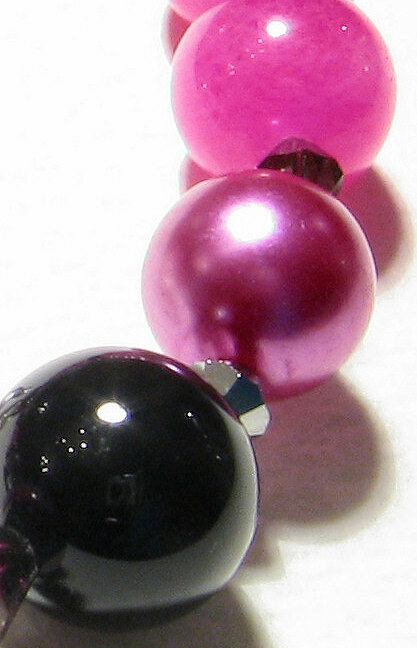 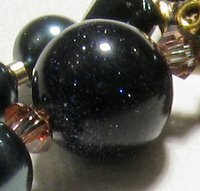 Another thing I did was to use a magnetic clasp, which is much easier to handle. It's the first time I use one of those, so, my friend will be "testing" it for me and see how it goes. 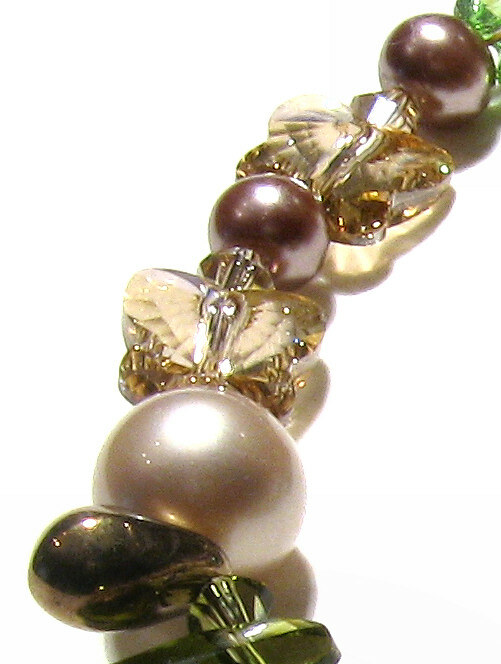 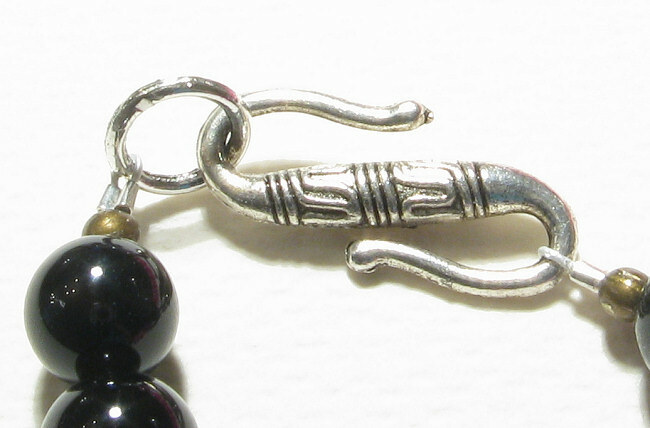 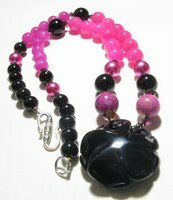 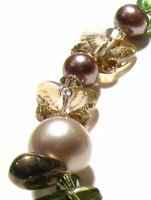 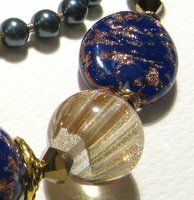 If necessary, I will change it to the usual lobster clasp (much more complicated to deal with though!). 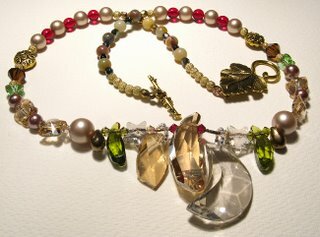 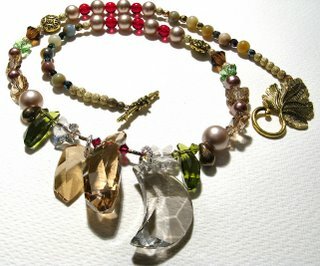 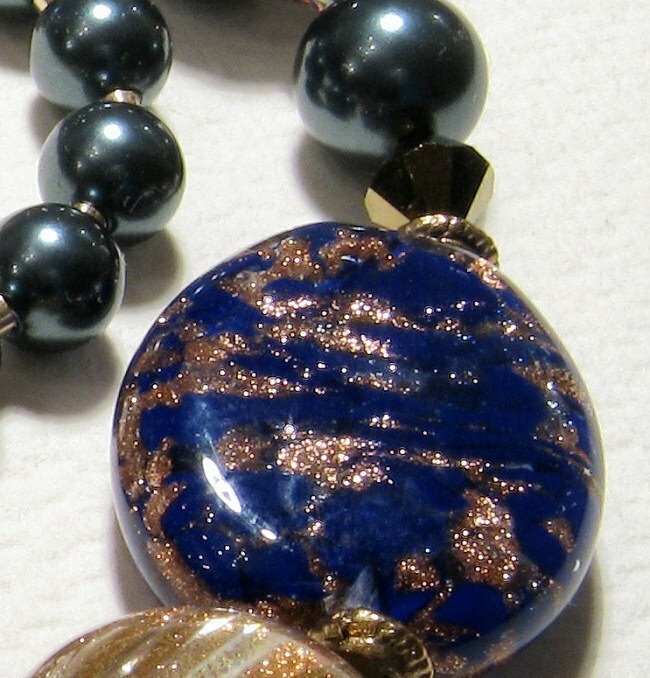 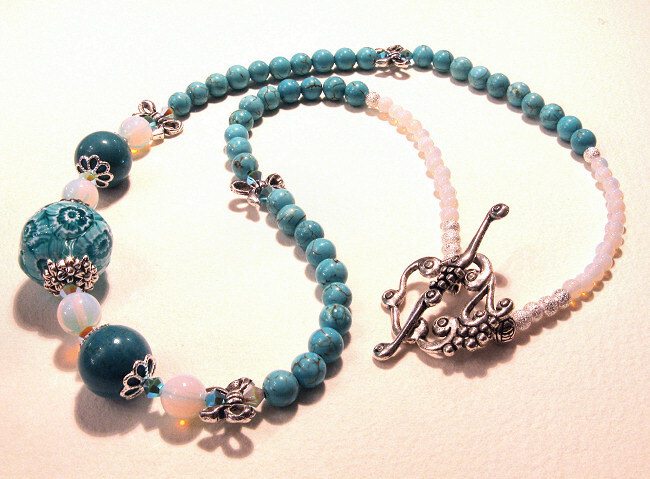 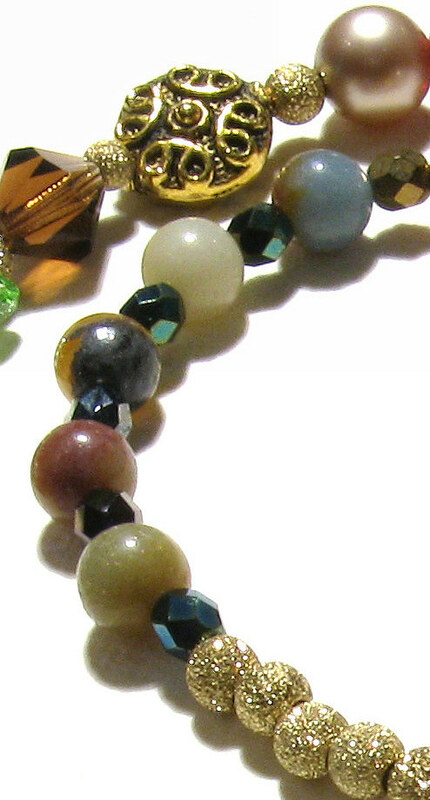 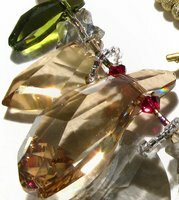 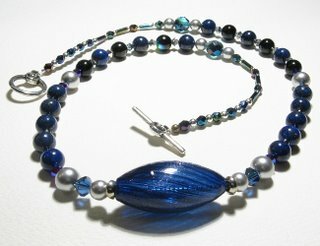 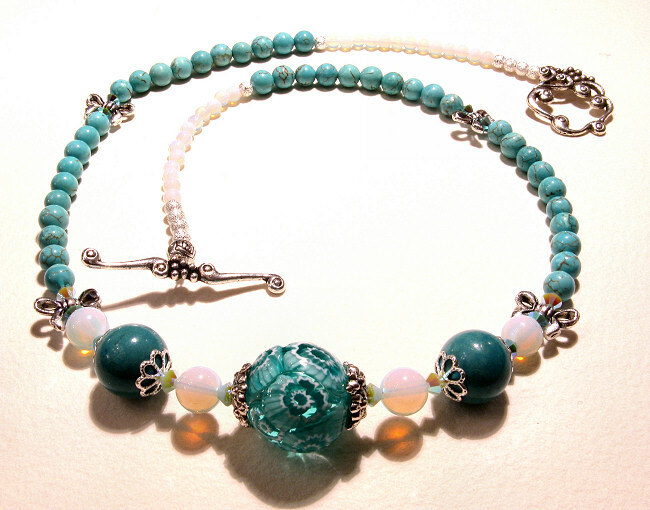 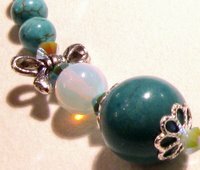 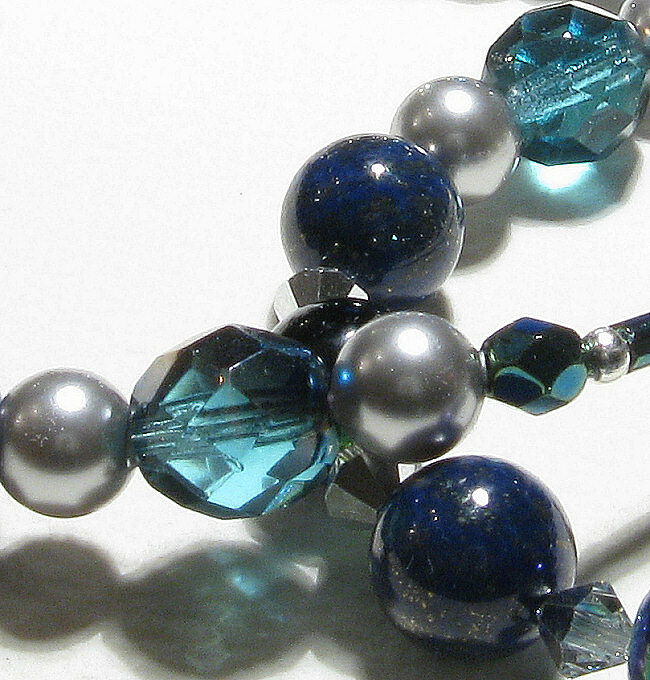 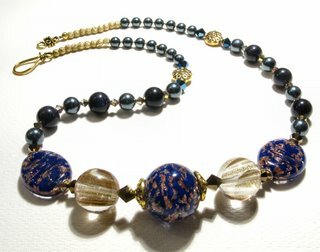 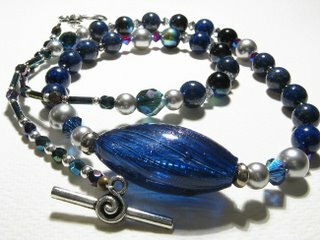 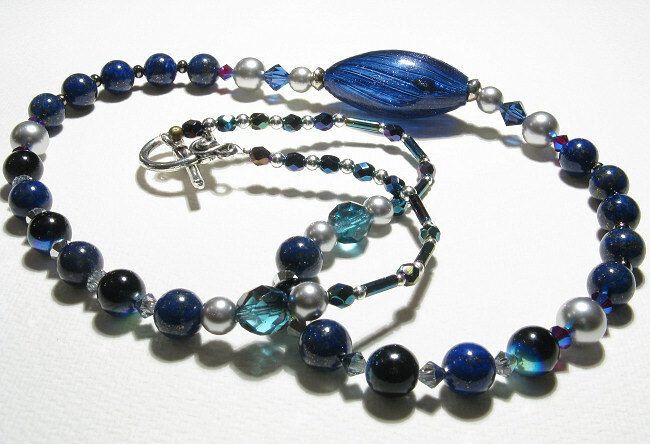 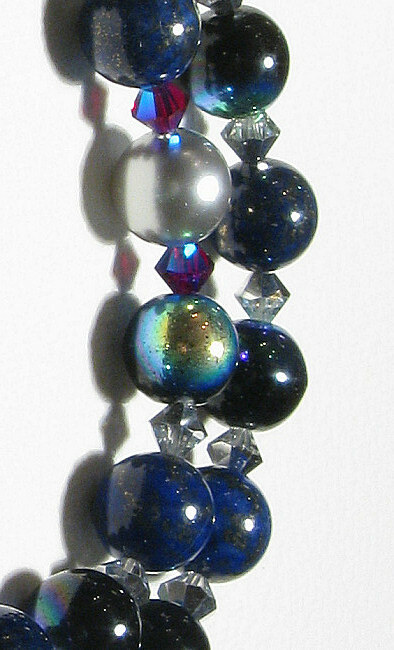 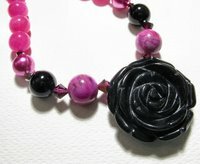 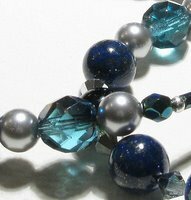 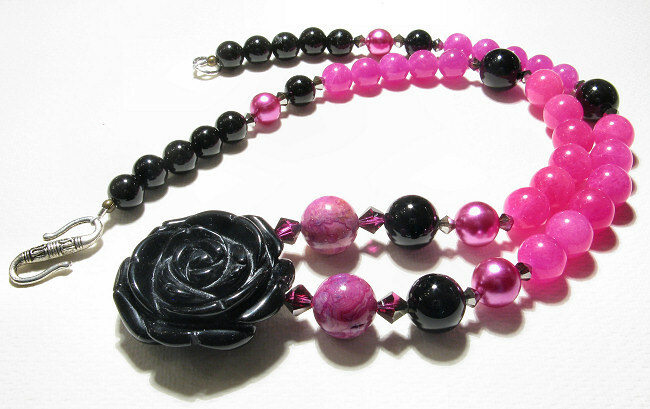 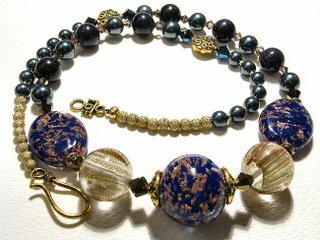 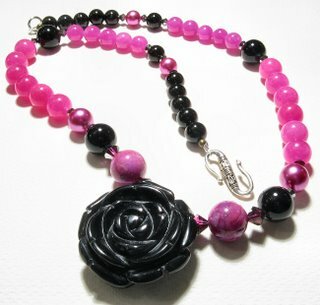 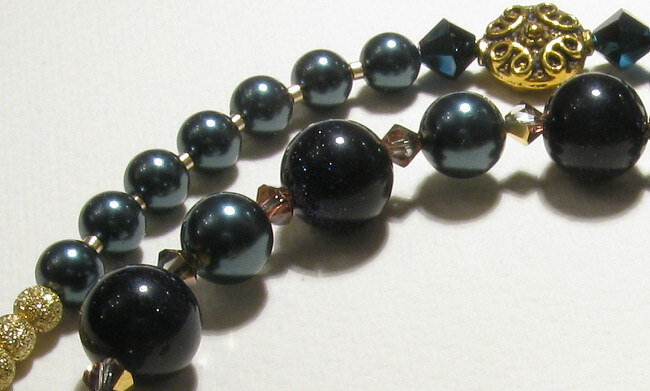 Again, an Italy-inspired necklace, also in aqua and turquoise shades. 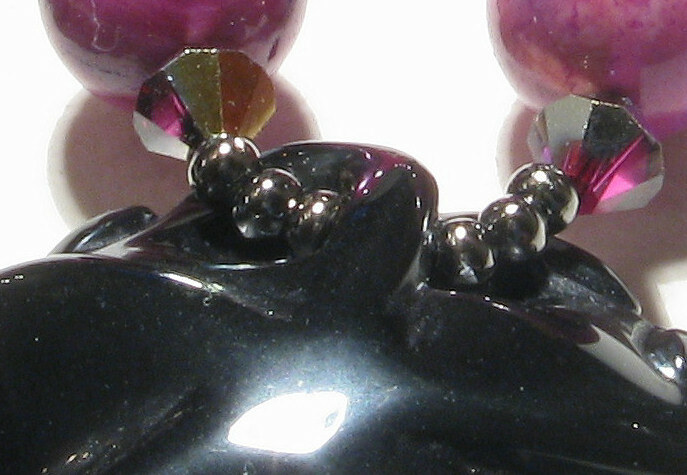 It is called Domani, which is the Italian word for "tomorrow". 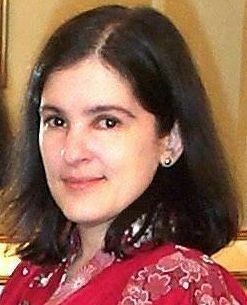 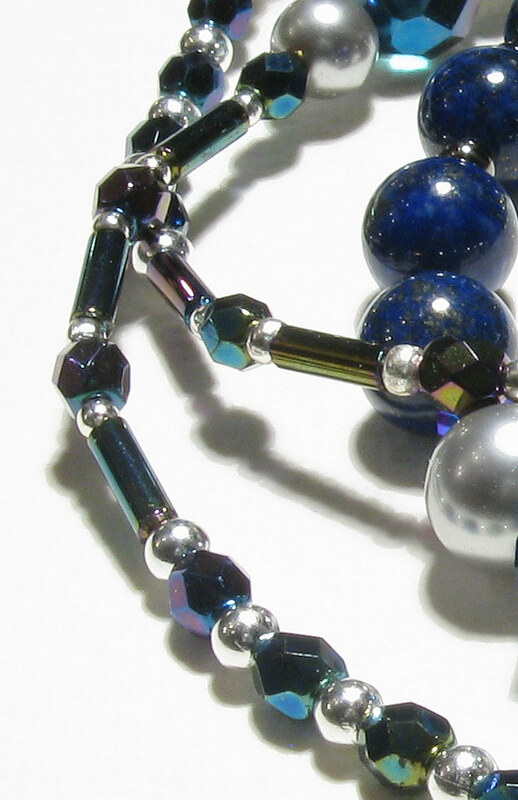 It came from a really abstract concept: when tomorrow comes, and what tomorrow may bring. 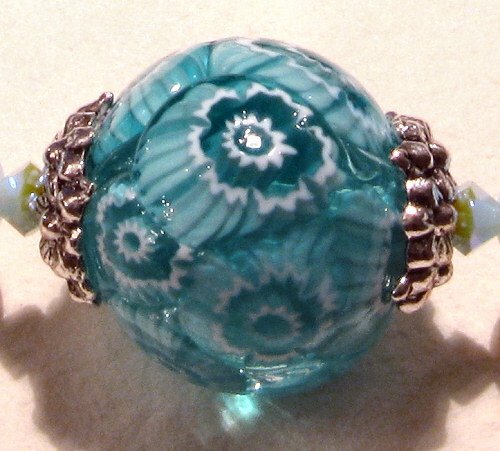 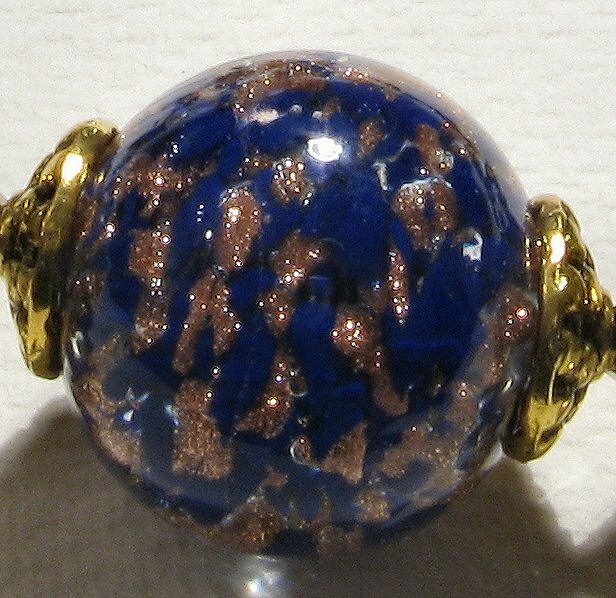 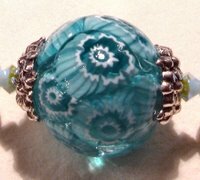 It is a wish for better times, expressed by "a thousand flowers" (the millefiori focal bead), and cool and peaceful shades of blue and milky, translucent opalescence. 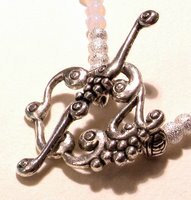 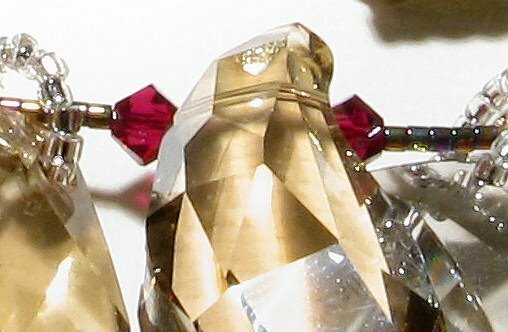 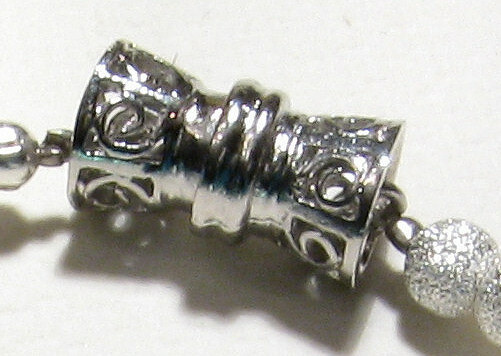 - Four silver-plated bows and Tibetan silver vine leaf toggle clasp. 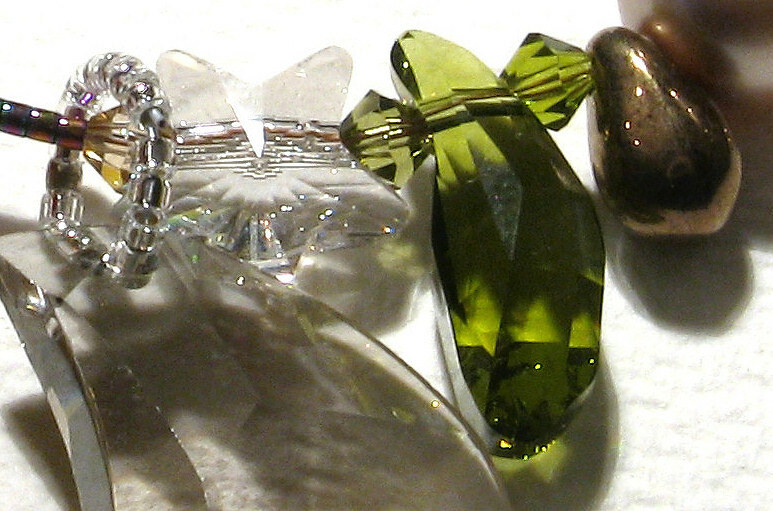 On the left, detail of the focal Millefiori, ornate silver-plated caps and the Alabaster Mint bicones. 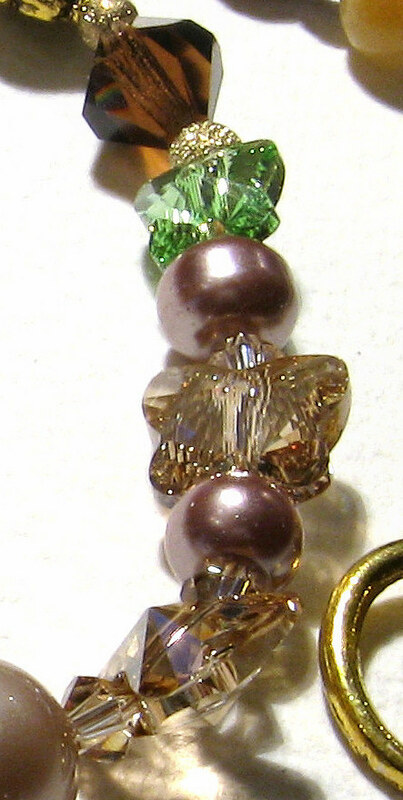 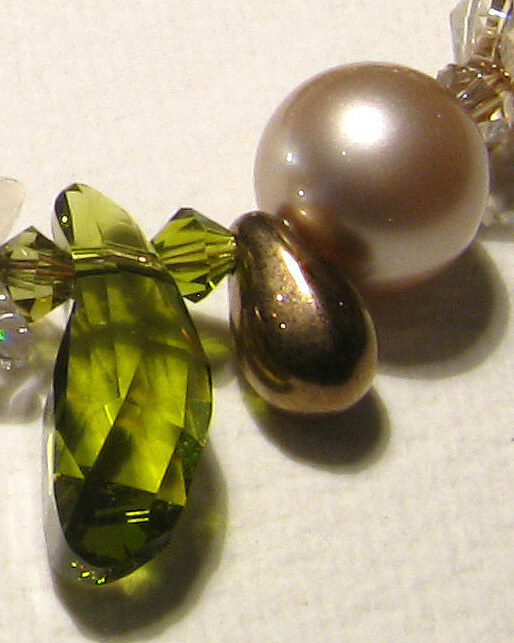 The picture on the right shows the clasp in detail, an art-nouveau style vine leaf toggle. 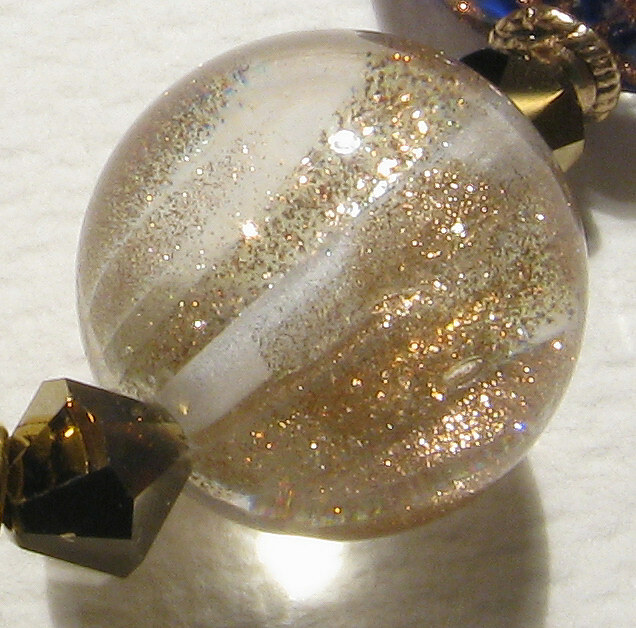 We can also peek on the stardust spacers here. 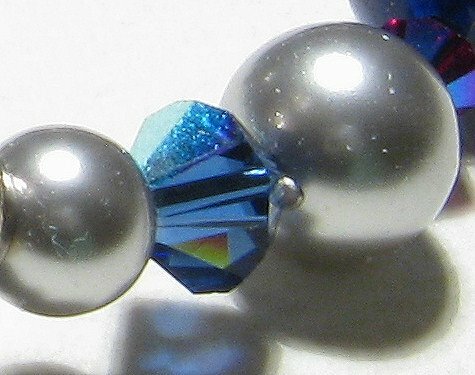 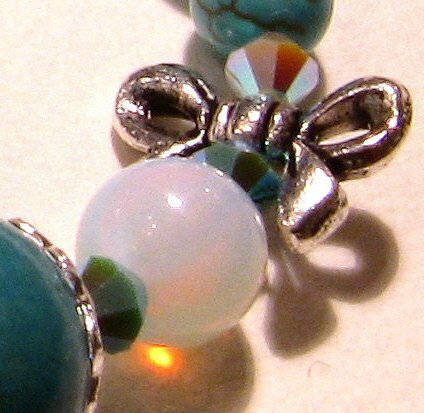 Close-ups of the large turquoise beads, larger opals, filigree bead caps and silver-plated bows, along with some Swarovski bicones and two smaller turquoise beads. Another detail of the opals and small turquoises. 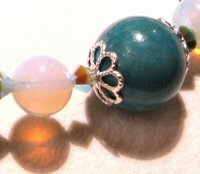 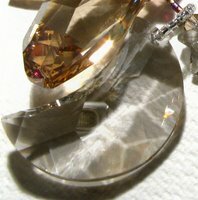 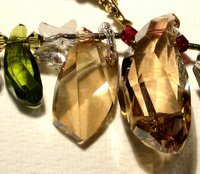 Whenever I use opals in my necklaces is when I want to convey the image of the Sun. 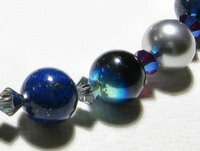 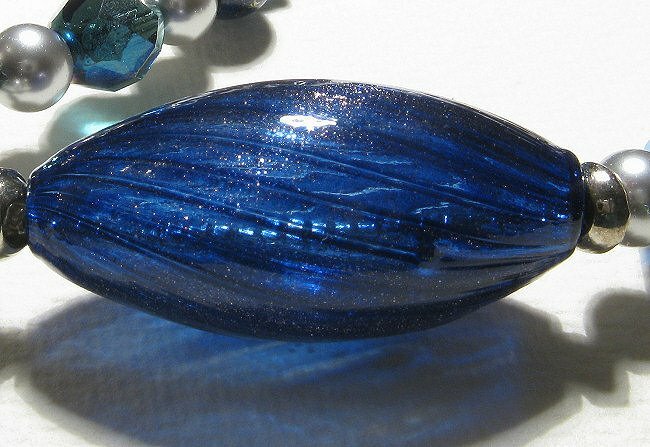 Opals really look like white cloud bathed in sunlight, and go really well with blue tones - which can be compared to a blue sky. Then, you have it: how you wish "tomorrow" would look like! 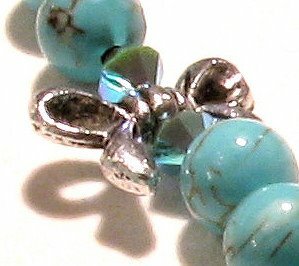 Blue sky, sun shining, white fluffy clouds here and there. 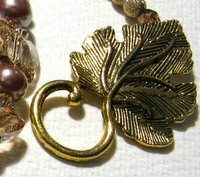 That's the idea!